Find and compare Connected Wifi Kitchen Gadgets. 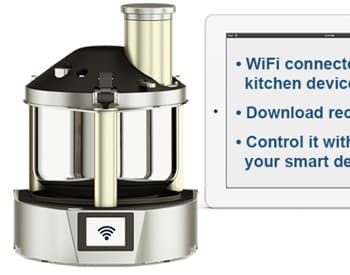 Remotely monitor and control cooking devices and appliances from your iphone or Android smartphone app. The kitchen has often been called “the heart of the home”—but why can’t it be the brains, too? The Internet of Things is making possible a new wave of smart kitchen gadgets, from sensors that know when the stove has been left on to forks that remind us to slow down and savor each bite. Here’s a roundup of IoT products that are changing the way we order, store, cook and consume food in our homes. Sort and compare devices based on function, app scores and pricing. Determine if the gadget is compatible with your Android or iOS device and existing smart home hub system. Point you to more resources on tutorials, instruction manuals and how to get the best results from your newly connected kitchen. A spotlight on a smart kitchen product that lives up to its hype of making better food for your family. Barcodes aren’t just for cashiers anymore. 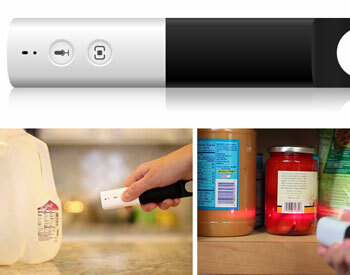 The following devices let consumers use them in the home as a quick way to manage shared grocery lists. In addition to scanning barcodes, these gadgets can also accept voice commands and even place grocery delivery orders to save you a trip to the store. 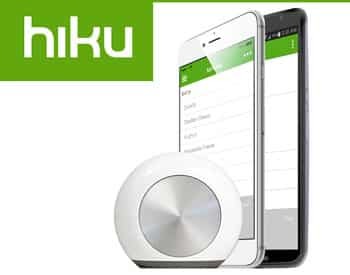 Hiku is much more than a chunky fridge magnet. As you scan or tell it which groceries you need, it can integrate with a number of third-party shopping lists. Planned updates will add online price comparisons and online ordering, though specific grocery delivery partners haven’t been announced yet. GeniCan may be the only commercial IoT device that’s actually meant to be unboxed and put straight in the trash. 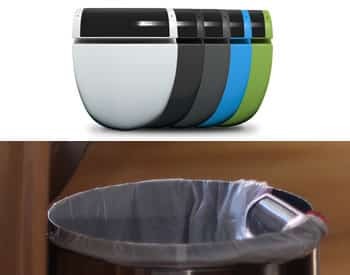 Perching on the lid of a waste bin, it scans or takes voice recordings to track items as you throw them away, so you’re always ready to restock the pantry. Online ordering is planned, but no word yet on who the delivery partners will be. Even for the best home chefs, things sometimes go wrong. 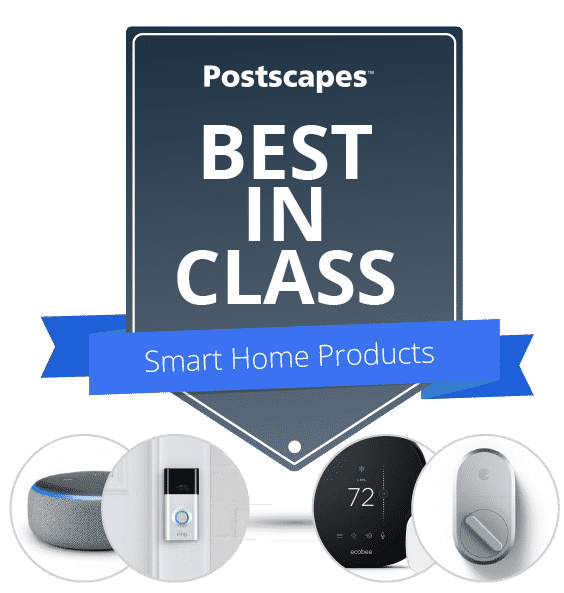 Here are a few devices that help keep an eye on things and can pass alerts about a problem at home to users anywhere in the networked world. Kepler, a natural gas and carbon monoxide monitor, could just as easily live in any room of the house, or even in the basement near a gas-fired boiler. But it’s especially useful in the kitchen, where it can check for gas buildup from a leaky or forgotten stove. It also doubles as a handy kitchen timer—twist the dial to set a countdown, and wave your hand to silence alarms. Smoke is just one of the many air quality indicators Birdi monitors. Others include carbon monoxide, pollen, particulates, temperature and humidity. If any of these rise to worrisome levels, Birdi will alert you and anyone else you authorize -- family, friends, neighbors -- with a text message, or an automated call to a landline. That way you’ll know something’s wrong even when you’re not at home to hear the alarm. 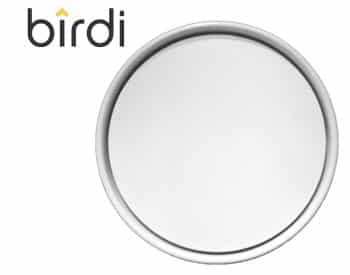 Multiple Birdi devices can also repeat alarms from other rooms or even other houses if your neighbors connect their Birdi to yours. Parents may impose a “no screens” rule at the dinner table, but that doesn’t mean your meal can’t involve some smart technology. Here a few devices that use data and immediate feedback to help us be more mindful of what we’re eating and drinking. One of the best and simplest ways to lose weight—while still enjoying your food—is to eat a little bit slower. 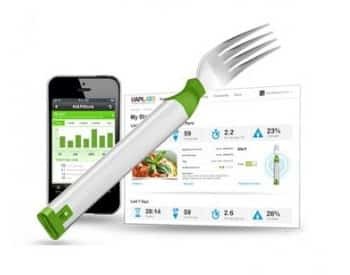 Using a capacitive sensor and a built-in vibration motor, HAPIfork (“happy fork”) will send out gentle physical notifications or flash small indicator lights when it detects that you’re shoveling food in faster than you can digest. Beverage calories are some of the hardest to eliminate, especially when we’ve become dependent on caffeine and sugar boosts to get us through the day. 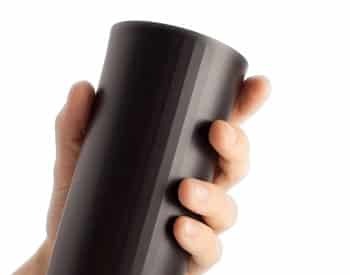 Vessyl does the thinking for you, with internal sensors that analyze the ingredients to determine what, how much and how often you’re drinking—as well as tracking nutritional metrics like caffeine intake, calories consumed, and hydration. Devices in the Grocery Ordering section above let you know what you’re out of; these keep track of what you have. Yes, even the humble kitchen jar can get an upgrade thanks to IoT technology. Neo not only holds dry goods, but actually measures how much is left with a built-in digital scale. 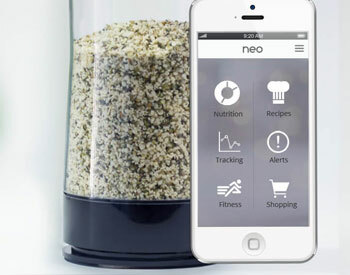 Once you tell it what’s inside, Neo can suggest recipes, calculate the nutrient content of each serving, and even automatically refill itself by placing orders from online delivery services. 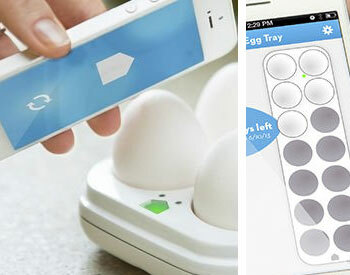 This smart egg tray lets you know how many eggs you have left in the fridge while you're out at the grocery store. Each egg slot has a sensor that keeps track of every egg's individual shelf life based on when it was added to the carton, and LED lights indicate which of the remaining eggs are freshest. While not exclusive to the kitchen, voice-activated smart home hubs are pretty handy when your own hands are covered in flour or stuffed into oven mitts. Whether dictating recipes from your favorite food bloggers or quickly converting teaspoons to pints, these talking gadgets are ideal sous chefs. Ubi is an Android-based “ubiquitous computer” that, the designers claim, will eventually be able to do just about anything that involves the Internet. Ubi includes a number of environmental sensors and integrates with other smart home gadget ecosystems like Nest and SmartThings. 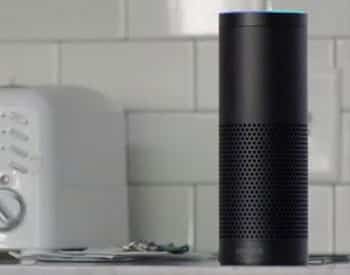 Echo may live in your home, but its brains are in the cloud with the power of Amazon Web Services.  In addition to looking up information and controlling other smart home devices, Echo has instant access to streaming music and other content from Amazon’s own selections and third-party services like Pandora, iTunes and Spotify. 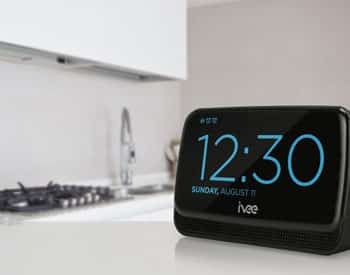 Ivee could easily be mistaken for a simple digital alarm clock—but there’s far more than mindless blaring coming out of this gadget. It can add voice control to countless other devices in your smart home, plus answer all kinds of useful questions by querying the Wolfram Alpha knowledge engine. When it comes to actually cooking food, the IoT market is less robust than you might expect. We’re still waiting for the killer-app version of the notorious “smart toaster”, for instance. But there are a handful of devices that do put connectivity to use in the kitchen. 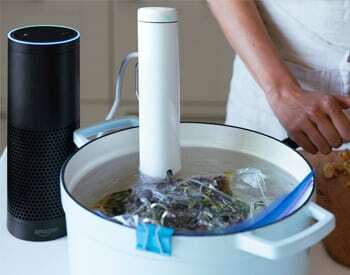 Wifi, Bluetooth and Alexa enabled this sous vide machines heats to a precision to 0.2°F / 0.1°C. Set it up and walk away, come back to a perfectly cooked meal. 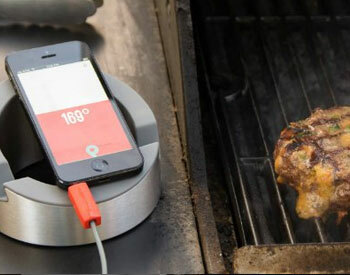 Range is a precision food thermometer designed to play nice with today’s technology. It’s wired -- embedded electronics wouldn’t survive in the oven or on the grill -- and plugs into a phone or tablet to provide temperature graphs and instant readouts. Even the original “dumb” version of the slow cooker managed to deliver on the Future Kitchen’s promise to free us from the demands of manual cooking: just toss the ingredients into the pot together, set the temperature, and walk away. The Smart Slow Cooker, to be released by Crock-Pot any day now, goes one step further by making all the controls accessible via users’ smartphones. It’s powered by Belkin’s free WeMo app, which lets users start or stop cooking, adjust temperatures and cook times, and set alerts and notifications. Finally, there’s Everycook, which is designed for those who don’t feel as comfortable in the kitchen. Actually, it’s as close to a chef-in-the-box as we’ve seen: part food processor, part pressure cooker, and part robot. First, select a recipe from an online database through the mobile app. Then feed the required ingredients through the slicer and into the cooking pot. A mechanical stirring paddle keeps things moving, and the heat settings and cooking time are handled automatically according to the recipe you chose. 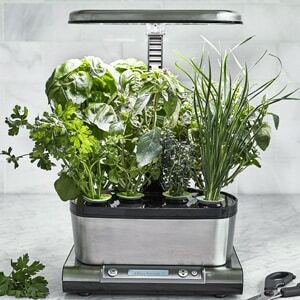 There’s even a scale so you don’t have to measure -- just add an ingredient until Everycook tells you to stop. 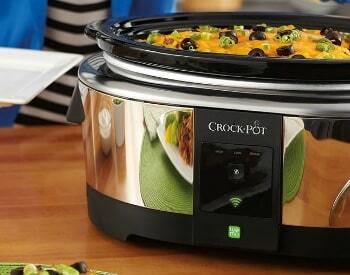 It’s a neat idea, but Everycook has struggled with crowdfunding. Though the designer did not respond to Postscape’s request for a comment on the device’s future, work seems to be continuing. 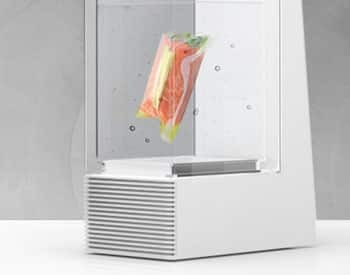 Mellow is a remote cooking device designed specifically for sous-vide, in which food is placed in vacuum-sealed plastic bags and cooked slowly in steam or a water bath at low temperatures. It will hold food in its the tank at refrigerator temperature until it’s ready to cook, and you can use the mobile app to adjust settings and timers so your meal will be ready the moment you get home. Meld - "Meld upgrades your existing cookware and stove with automatic temperature control so every meal is perfect"
We’ve already covered everything but the kitchen sink...might as well throw that in, too! 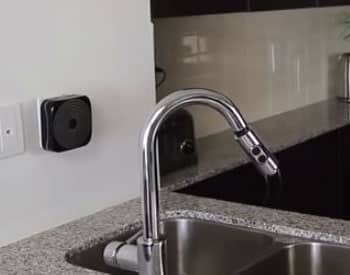 Hydropoint’s 360 sensor installs on a homeowner’s cold water line, under the kitchen sink, and monitors vibrations that occur throughout the home’s plumbing system to determine exactly which fixture or appliance is being used—because a flushing toilet draws water differently from a dishwasher. 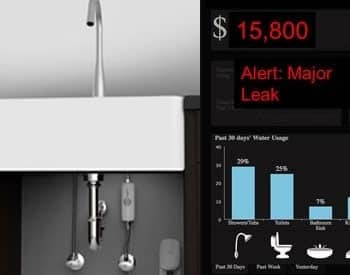 This captured data can then be analyzed by machine learning algorithms to accurately calculate how much water each fixture is consuming, identify leaky pipes, alert a user to clogs or other upcoming issues, and recommend water saving options tailored to their specific usage patterns. Water quality has been in the news recently, with troubling revelations that what comes out of the tap in some communities isn’t safe to drink. 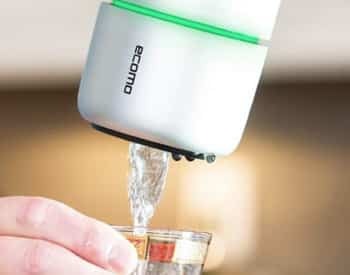 While no home filtration system can protect against a truly broken municipal water supply, the Ecomo smart filter offers a little peace of mind to those who want to be sure of what’s in their local water. 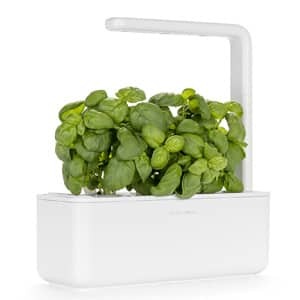 Like many in-home filters, Ecomo attaches to the kitchen faucet. As water flows through, sensors in the device analyze it for heavy metals, bacteria, pH, harmful chemicals and other hazards. A color-coded LED ring gives instant feedback on water quality, and a mobile app offers detailed data and recommendations — including which of several included filters to use for optimal water. Ecomo’s photovoltaic exterior provides solar power, while the interior hardware relies on microfluidics — technologies for precisely controlling the flow of tiny amounts of liquid — which CEO Eric (Zhiqiang) Liworked on at Carnegie Mellon. 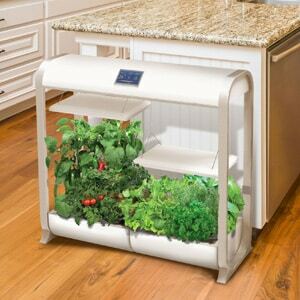 Wouldn't it be nice to grow your own herbs straight from your kitchen? 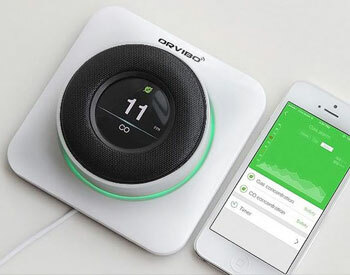 These smart devices allow you to simply monitor and control a small device to do just that. Driven by low energy and high powered LEDs, aquaponic pods. Only consumes 8W of power.